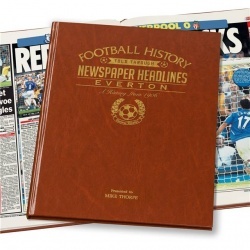 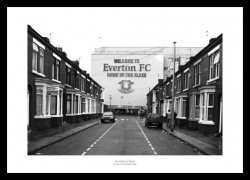 The history of Everton FC through newspaper reports of the day. 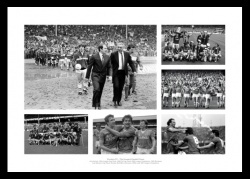 A print montage celebrating Howard Kendall's years as manager. 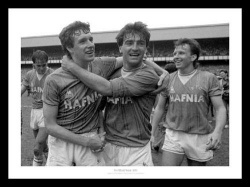 The Everton legend and teammates celebrate. 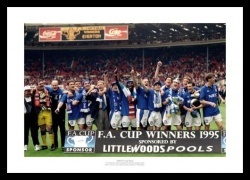 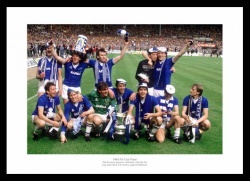 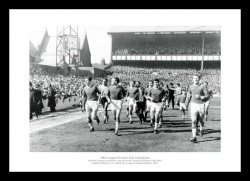 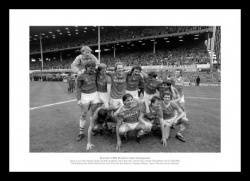 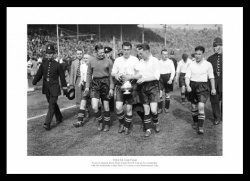 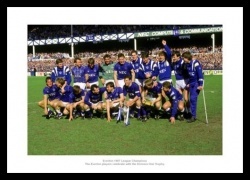 The Everton team celebrate with the trophy after Evertons 1-0 victory over Manchester United. 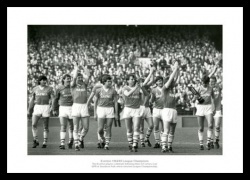 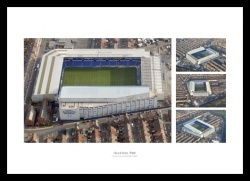 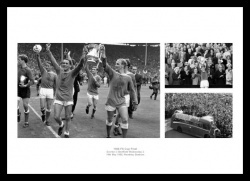 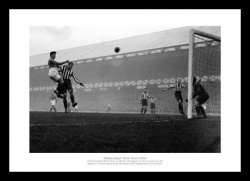 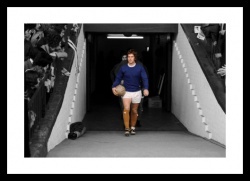 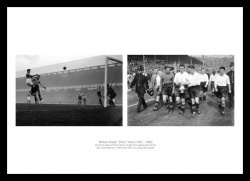 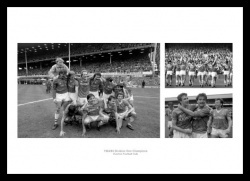 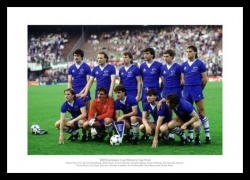 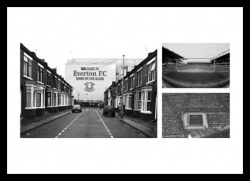 This superb print montage features 2 photos of the Everton legend. 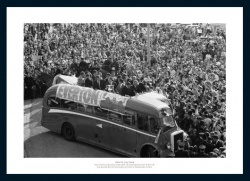 The Everton team parade the FA Cup trophy.